I turn the fan switch from low to high and nothing is happening, nothing blowing out the vents, I have no heat ac or defrost. Usually you can hear the fan motor going when on but there is no noise, nothing. I have checked all fuses and they are okay. Just wondering if it could be the resister or the blower motor. I have not checked to see if there is power to the resister or motor. The fan just stopped working no warning or any type of noise just quit, maybe the switch. I am hoping someone could guide me in the right direction before I start taking things apart. Your help would be appreciated. I added the wiring diagrams so you can see how the system works. 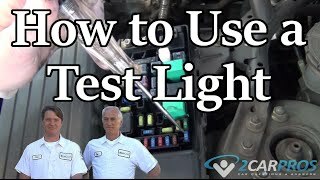 I check the blower motor to the battery it works fine. So I checked out the guide and figured out the power resistor has bad. I got a new one for $78.00. All fixed! Blower motor went out. Changed 40 amp fuse. Blower still not working cannot locate blower motor. It is below right side of dash. The heater blows hot air, but the fan blows like it is on low even when it is on max. Check the blower control processor by blower motor, it may be bad. Have a mechanic scan for codes to see if that is the problem and not control module. See picture. Heater problem V8 four wheel drive automatic 40,000 miles. My heater/fan switch will work only on 3. 1, 2, 4 and 5 will not work. 2005 Sierra. Driver side blows hot air, passenger side blows cold air when air conditioner is on. One day the A/C fan kept blowing after I turned off the truck. Then it worked fine. The next day it was delayed several minutes before it started blowing. Now sometimes it blows and sometimes it does not. The air is cold and I feel it if I drive fast and the read out controls work fine. It is an SLT digital dual climate display. My brother has the same problem with his 2001 SLE Suburban non digital display. It is like the blower control is fried and it does not know when to work properly. Is there a history of this and how do I fix it? Hi there, I am having troubles with my heater fan it works good in the summer but with it gets cold it seems to only work when it wants to. If I start the truck it will work cold but when I go somewhere warm the truck up and turn it off, when I come start it again the fan will not work not on high or anything. But unfortunately if I bang on the bottom cover on the passenger side floor it will slowly start working again. Can you please help me with my problem? I love my truck and this is a silly reason to get rid of it. 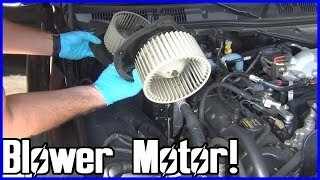 It sounds like the blower motor itself is bad. Have you checked that?